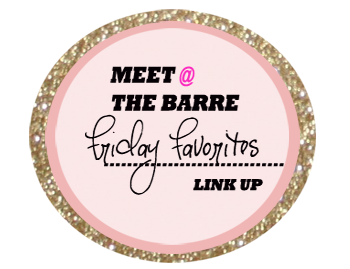 Made In The Shade Blog: Friday Favorites Link Up! 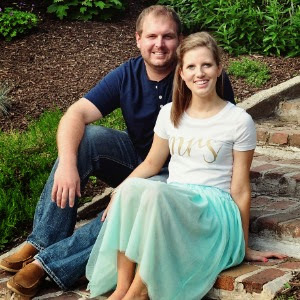 I am linking up today with Amanda over at Meet at the Barre . If you haven't followed her already, head over and check her out. Her posts are always so entertaining and she makes me laugh! She's also in the healthcare field, so it's nice to share some common ground! Feel free to link up with her as well! Today, I'm going to link up with my top 5 Etsy purchases ever!! Who doesn't love Etsy?! Here are some things you might love too! I love love love this fruit infuser water bottle from SunnyBugPrinting. I am not normally a water drinker, but I have found if I can add my own (healthy) flavor to it by adding fruit, I am so much more inclined to drink it! Not to mention if its pink and has polka dots. She has several color options and monogram options - check her out! These tanks are so comfy and great for working out or a day at the amusement park! You all know how I am about bows, so I was thrilled about the bow on the back. And guess what - she does custom designs! I have one that said "Bride" and one that says "St. Louis Cardinals. She was so great to work with! Check her out at RufflesWithLove. I'm sorry, but how can you not love this steering wheel color?!?! She has so many different designs, and her customer service was amazing! When I get tired of this one, I already have my next one picked out. I just love the girly touch it gives my car! You can find her Etsy shop at BeauFleurs. Last but not least - believe it or not my bridesmaids dresses were from Etsy. It is by far the best purchase I have made through this site. Patricia did an awesome job, and her communication was outstanding. 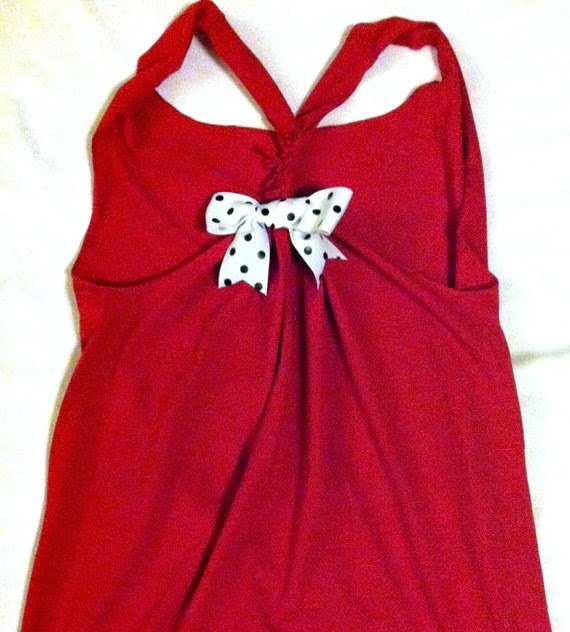 I highly recommend this to anyone who is looking for simple but classic dresses for their girls. You can find her at patriciavalery, and you just might see a familiar face on her site! Come back next week for some guest posts by some awesome bloggers while I am on vacation! You'll also see how to do an at home french manicure with gel or regular polish! Happy Friday! The phone case is really cute! those dresses are gorgeous! never would have believed they were from etsy, fabulous! have a great weekend! I am obsessed with that water cup! I think I may need to order one. How is your Etsy store coming along? (sorry I'm a pusher by nature ;-) The last bridesmaid dress I got was from Etsy and it was so much more affordable! Thanks so much for linking up and your sweet bio! Us nurses always gravitate towards each other right? oh my goooosh that iphone case is amazeballs! 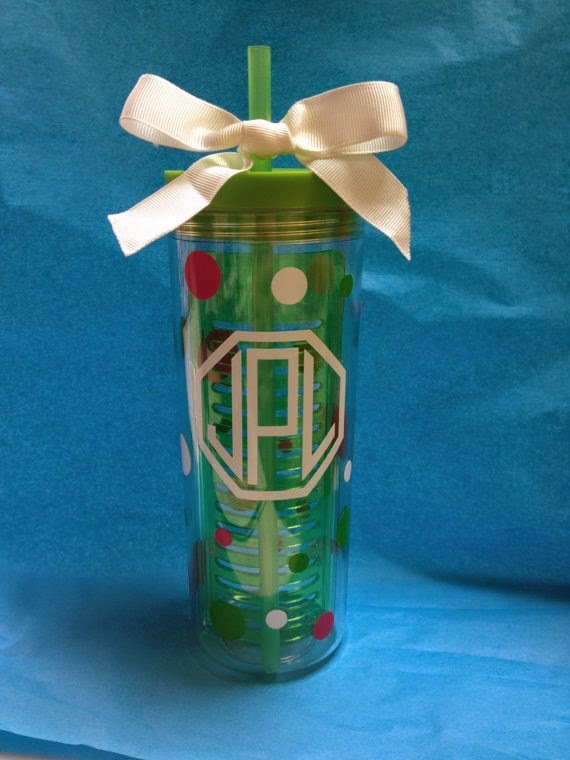 I can't resist anything monogrammed and have been on the hunt for one like that! And that is mind blowing that the dresses are from there, you go girrrrrrrl! 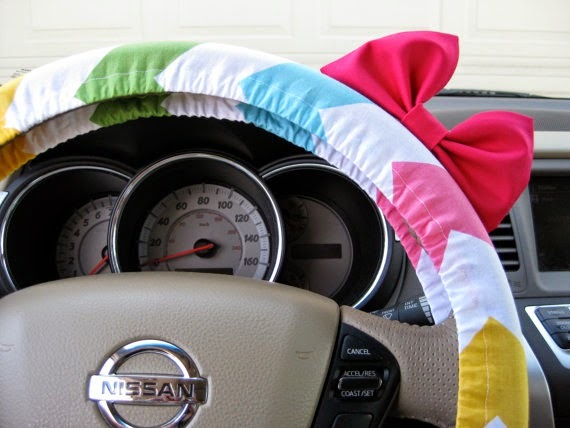 That steering wheel cover is too cute. I received an Etsy scarf that looks just like that cover and I love it. Have a great weekend Becky! I never knew you could get bridesmaids dresses on etsy! That's so awesome!!! And they ARE amazing! Wow, I never thought that you could buy bridesmaid dresses on Etsy! So cool! 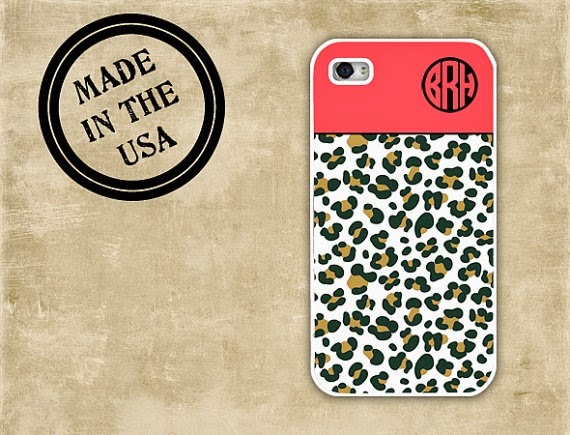 I am totally obsessed with that cute leopard print phone case! Adorable! Its so cool you got your bridesmaids dresses from Etsy! They look fantastic.And I need the minnie mouse steering wheel cover! Its adorable! Those tanks! I might need to get myself a Cardinal one! LOVE the dresses. SO beautiful! That water bottle and phone case are adorable!